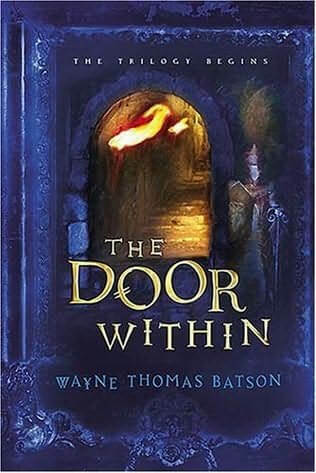 The Door Within and its trilogy was recommended to me by a few of my fantasy writer friends. Full of mystery, adventure, and amazing parallels with our Christian lives and our battle against evil, this is a great story of sacrifice and loyalty. The story starts with a typical teenage boy named Aidan Thomas. To his dismay, his family has moved to Colorado to care for his grandfather. Aidan is forced to leave his home in Maryland, and his best friend, Robby, who is the only one who would befriend him. At first, Aidan was very reluctant to accept his new life in Colorado. But then he discovered some scrolls in his Grampin’s basement, and his life was never the same again. The scrolls contained The Story, the account of the betrayal of King Eliam of Alleble as well as many of the other stories of The Realm. Aidan read the scrolls and showed them to his parents, who read them and explained to him that The Story is a very popular book, a best-seller even! Aidan believed the stories were real, and Grampin encouraged him, but his parents kept telling Aidan that it was all just a story and a myth. But Aidan did not easily give up. He eventually was able to enter The Realm, with Grampin’s help. There he was met by Gwenne, a Glimpse, as well as many other Glimpse warriors. He was told that he was appointed by King Eliam to be the Twelfth Knight. He was to go on a special mission with the other knights to make an alliance with Mithegard, and to prevent Mithegard’s alliance with Paragory. Some of the parallels in this book are very well done. King Eliam, for example, gave his life for those of Alleble. The King’s top advisor, Paragal, betrayed his King and formed the new kingdom of Paragory and his name was changed to Paragor. Paragor offered many riches and glory, but all those who followed him were made to go through the Gate of Despair and were tormented. Those of Mithegard are an undecided people, which is why both Alleble and Paragory are so eager to make an alliance with them and their leader, King Ravelle. In The Realm, the followers of Alleble have eyes that glint blue, and those of Paragory have eyes that glint red. But those of Mithegard simply have bright green eyes of indecision. Though they have not made an alliance with either side, they too are destined to travel through the Gate of Despair if they do not choose to follow King Eliam. Another parallel is that of The Story, which can be compared to the Bible. The Story is a best-seller book, but many still do not accept that that the story is real, and they regard it as a myth. One thing I also like is that when Aidan returns to his own world, he is still a follower of King Eliam, and everyone has the same destiny of their Glimpse in the other world. For every human in our world, there is a Glimpse twin in The Realm. The two worlds were once one, until the Schism, which is why our world is now called the Mirror Realm. So if one human chooses to follow King Eliam (or vice versa) then both of them, the human and the Glimpse, will go to live with King Eliam after death. However, no human can meet his Glimpse in the Realm. In fact, they switch worlds when one has been called. While in The Realm, Aidan does meet some Glimpses of people that he recognizes, and some of those encounters eventually lead them to salvation. I’m sorry to hear that, Uriah. I recently saw this book in a local Christian bookstore, so I would think it would be easier to get a hold of. Yes, I looked for it but they didn’t have it where I went…maybe I’ll buy it from Amazon.com. 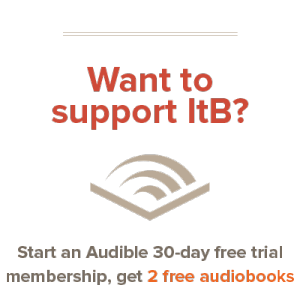 I have seen some pretty good deals on Amazon, if you decide to go that route. 🙂 I hope that you find a way to read it!